The test for music is a simple one "Good music is music that lasts." That can also be said for cars. The really great cars were built not only to be good when new but to endure the ravages of use and time. The 1955 to 58 full size general motors cars were good cars. They had hydraulic lifters in their engines and their bodies were sturdy and well assembled. In 1959 they created new designs for both the Chevy and the Pontiac but both were fairly radical in appearance and neither were particularly good selling cars. 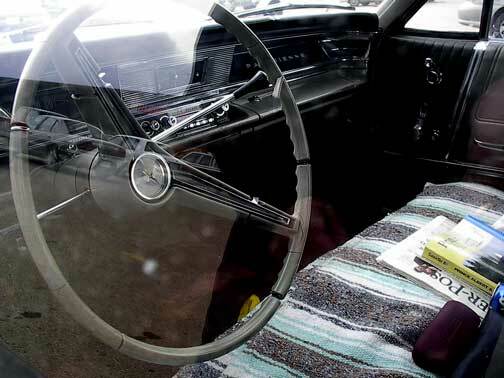 The 1960 to 62 versions were based on the bigger size of the 59 and more refined but in 1963 both Chevy and Pontiac came out with new body styles that were essential the base for their full size cars right into the mid seventies. The Pontiac sported vertical headlights and the Chevy of that year was a neat and tidy design that many consider the best set of Chevies ever. 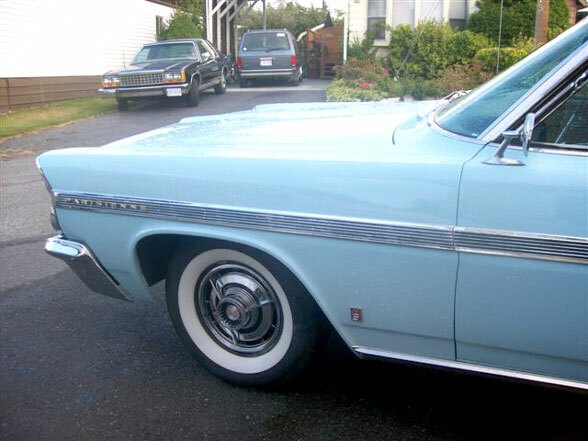 Pathfinder, Laurentian and Parisienne were the three models of the Pontiac in 1963. There was an American that year called the Catallina but was not sold in Canada. All three Canadian models had orange painted engines made by the Chevy engine plant while American made engines of that era were blue. 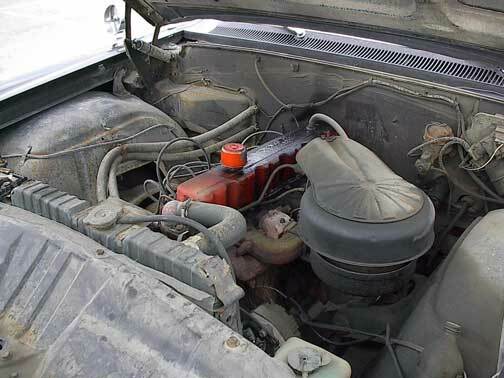 This one was a top of the line car in 1963 but came equipped with the 262 six cylinder engine which was essentially the same engine Canadian general motors cars and trucks had been lugging themselves around with for decades. Durable and economical matched here with a simple three speed manual transmission. 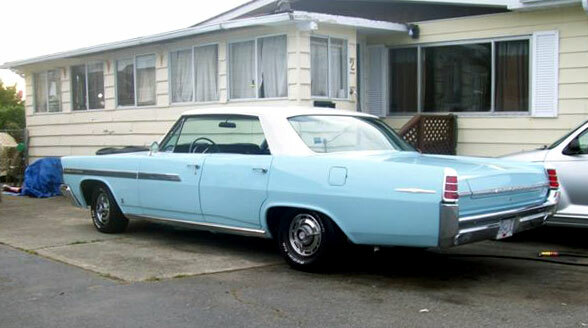 In 1968 I was driving a Laurentian version of this car with a 283 V-8 and the same transmission. When the transmission wore out we had a used one shipped in (we were living in Rainbow Lake Alberta at the time). The used one arrived but was defective and my wife and I with the simple knowledge and primative mechanical skills I have rebuilt that transmission using parts from our old one and the defective one. We carried out that overhaul on the kitchen table and we did not have grease so I used brylcream to hold the bearings in place during assembly. The owner of this model explained to me that the original owner had kept a meticulous log book of this car with every bit of work done on it noted and stored in the glove compartment. The back window has stickers from parks throughout Western Canada as this car has been in use since it was manufactured forty years ago. Hi I have a nice 63 Pontiac as well. Anyway, the 58 was the year they changed to the silly Xframe cars. 62 was the last year for the 235 stovebolt 6. The 63 you are writing about has the new 230 small, but way more powerful six. 64 still had the terrible xframe if you got side impact say good bye no frame just runners. 1965 they went to a perimeter frame and it carried on to about 77.